The perfect combination of light colours gives a gorgeous look. This is 100% suitable for the tardional home décor. Place this beautiful carpet in your home and provide warmth and comfort to your home. It contains intricate design pattern. It has taken approx. 7-8 months to weave. 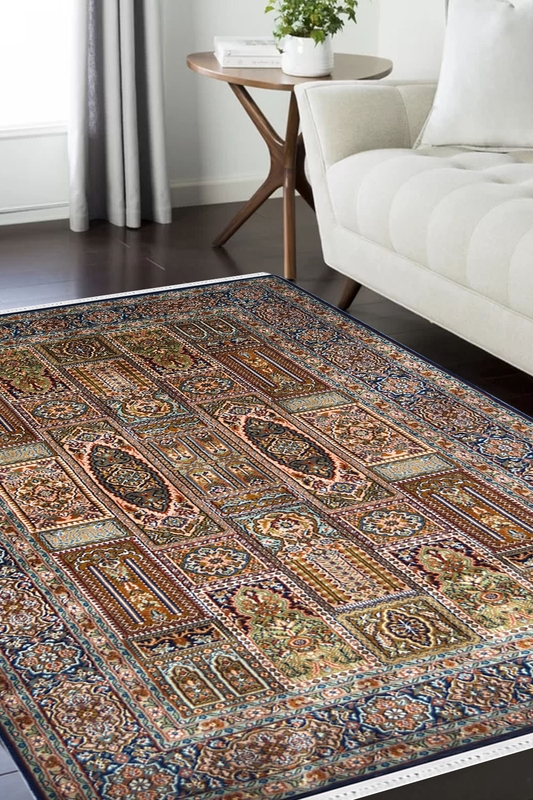 - A guaranteed transformation to your room decor, this hamadan patterned carpet will enhance the beauty of any floor ranging from the living room to the house entrance. - With a wide collection of beautifully designed traditional patterned area rug, choose this beautiful carpet and enjoy the plush feeling beneath your feet. - Weft- Pure silk .